A climb to the pyramid-shaped summit of Mount Shuksan is not to missed! It’s one of our guides’ favorite trips to lead. The adventure starts with a beautiful hike through old growth forests and the high alpine meadows of Shannon Ridge. Day one ends at one of the most stunning high camps in the North Cascades! On day two, we give the summit a try. The Sulphide Glacier offers easy travel, from a beautiful position high on the glacier, to the base of the summit pyramid. Easy rock climbing in our mountain boots leads to a stellar summit. A mix down climbing, and a possible rappel, gets us back to the glacier, and the comfort of camp. 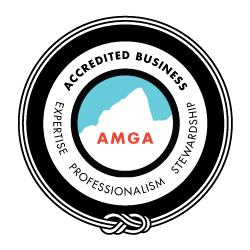 Countless climbers who have summited Mt Hood with us, come right back and sign up for this climb in the same season to keep their summer climbing going. 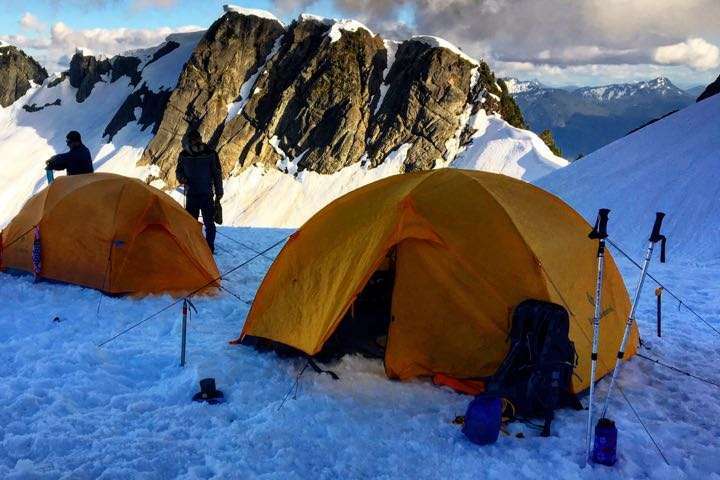 The Sulphide Glacier on Mount Shuksan is a great introduction to glacier travel, that has a beautiful alpine high camp. The incredible scenery and the unique, picturesque formation of Shuksan itself makes this a really memorable experience. The rock climbing on the summit pinnacle can be simple, or your guide can follow a more challenging path if your experience dictates a bigger challenge. Style: Glacier travel to a summit pinnacle with low-5th class alpine rock, and a few rappels off of the top. Our mixed alpine skills seminar is a great way to build on the skills you’ve learned and summit a peak or two in an awesome alpine cirque. No previous experience is necessary to join us on this trip – we’ll teach you everything you need to know!